One of the more obscure jazz singers who has a small but very devoted following, Miss Teddi King certainly deserves to be rediscovered by Music lovers all over the world! Last November marked the 35th anniversary of her death – but luckily almost everything she recorded during a time span of almost 30 years is available to the record buying Public. Starting out in the late 1940’s, Miss King recorded her last album in 1977 – just a short while before her death at age 48 from Lupus. Her collected recordings is a treat for both fans of vocal jazz, and great singing in general. 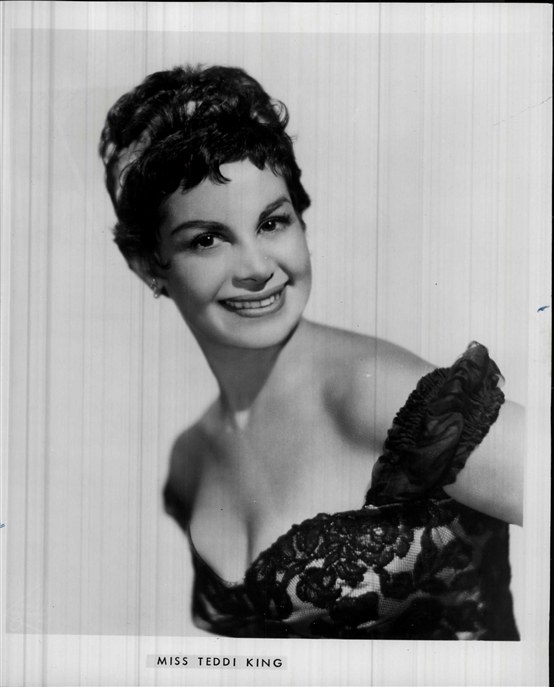 Though mainly considered a jazz singer, Teddi King also made quite a lot of more pop oriented material, and even some early rock ‘n’ roll. An in-Depth survey on her various albums will follow here soon – so do check back in a few days!